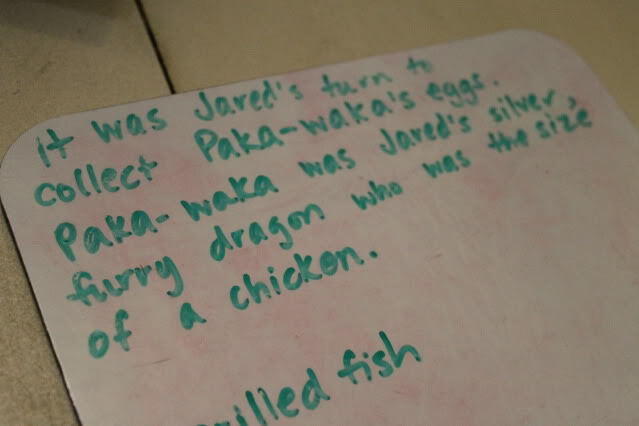 We've never used a formal writing curriculum before. Nope. This was our first time wandering into the wonderful world of formal writing. 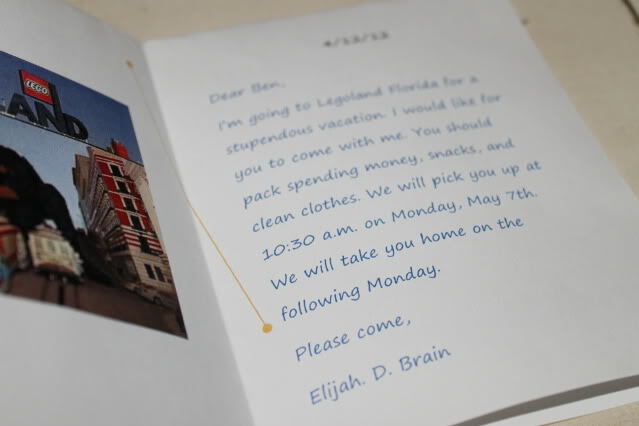 I used WriteShop Junior D with Elijah (4th grade). I was provided with digital copies of the Teacher's Guide ($34.95), Student Activity Pack ($34.95), and Time-Saver Pack ($13.95). It was a challenge to sort everything out. After flipping back and forth between the different items, I finally decided to print and prep everything for the first five lessons and put it all in a notebook. Once I had my notebook ready, the Fold-N-Grammar Packs assembled, and a "Said It, Read It, Edit Bag" put together, I felt ready, relieved, and oh-so-organized! Each lesson has parts, parts, and more parts! Thankfully, the introduction gives you ample suggestions for schedules, allowing you to implement the lessons at your student's pace. We didn't use the reading logs, but the Fold-N-Go folders are amazing reference tools! 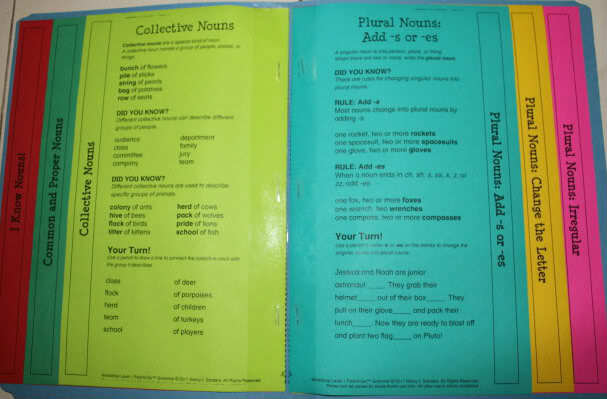 Your student will review and learn lots of different grammar and writing concepts with these fun folders. The lessons give you scripts and gobs of ideas for what to do when (and how to do it!). You will never feel inadequate with WriteShop. Elijah enjoyed this part of the lesson, especially the skill builders. 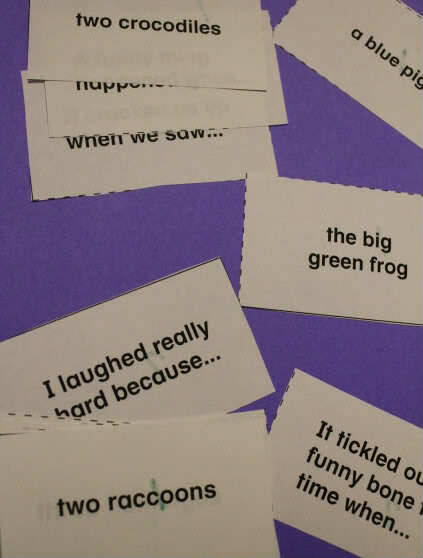 WriteShop includes lots of hands-on activities, fun, and games. I was super thankful for the Time-Saver Pack. It really does save time! I had a hard time utilizing the brainstorming portion because Elijah already knew what he wanted to write about before I ever asked. WriteShop anticipates reluctant and resistant writers and includes strategies for helping them through their woes, but I decided to simply allow Elijah to write without brainstorming. I guess he does his brainstorming in his brain (and not on paper). This was our favorite part. The writing projects are varied and Elijah enjoyed every one. In WriteShop Junior D, your student will tackle many different projects: a letter of invitation, a fiction story with humor, an adventure, science fiction, mystery, poetry/Haiku, a folktale, historical fiction, personal narrative, and expository writing (factual article). The student learns to find the good, bad, and ugly within his own writing, an invaluable skill. Seriously. Invaluable. Elijah liked using the highlighter from the "Said It, Read It, Edit Bag" to find the good in his own work. 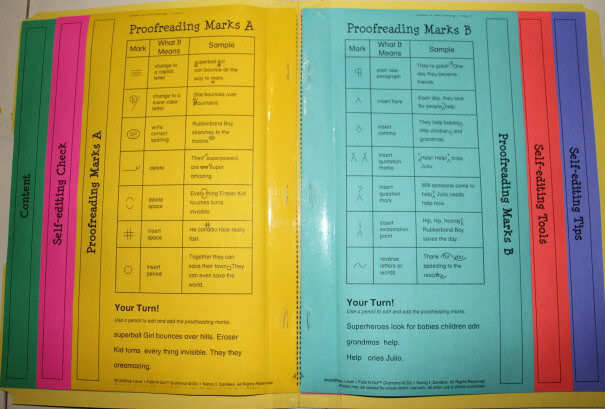 Students also use a checklist to make sure they have accomplished all necessary tasks within their written work. 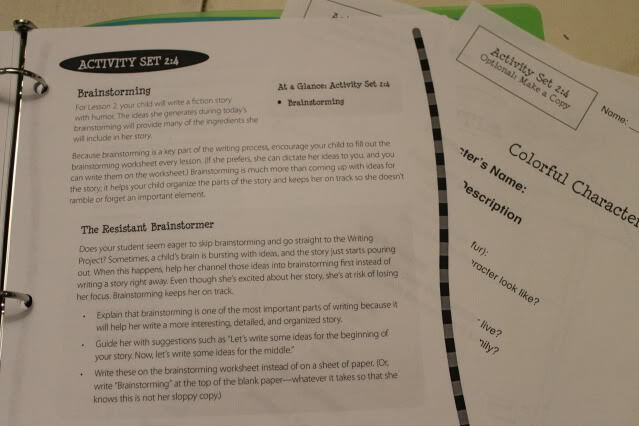 WriteShop gives practical ideas for the student to publish and present their writing. This is vital; it's silly to write if you don't have an audience. You are given a skills evaluation chart to evaluate your student's work. If you are uncomfortable teaching writing, consider this curriculum. Everything is prepared for you. Everything. It will give you the confidence you need to teach writing to your student. And even a reluctant writer will be inspired by WriteShop. In my very-humble-I-used-to-teach-writing opinion, this is a fantastic two-thumbs-up curriculum. We won't be continuing with WriteShop because the time commitment is too weighty. Our math program is intense (because I did not used-to-teach-math), and I did not enjoy trying to use a heavy-prep writing curriculum at the same as a heavy-prep math curriculum. It was cumbersome. 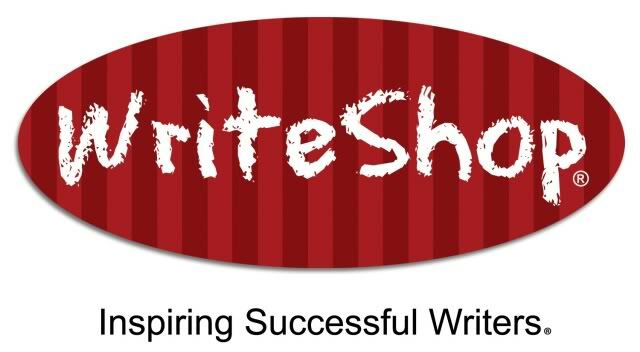 If you do have the time to invest, and if you are in the market for a writing program, investigate WriteShop. Read what other crew members are saying about it on the TOS blog. If you do decide to give it a try, you can save 15% in the WriteShop Store by using coupon code CREW15. Disclaimer: I received a free digital copy of WriteShop Junior D in exchange for an honest review. I love WriteShop and am hoping to start with this level for my oldest. My two smallers have loved what we have done so far… Need to get level D… Thanks Ami. 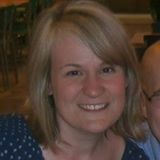 Your pictures are wonderful to show off the curriculum!